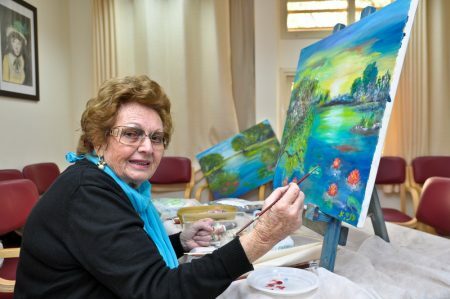 Since the 1990s, MJB has emerged as the country’s recognized authority on the needs of Holocaust survivors in Israel, and has played a critical role in the on-going effort to find effective solutions to the needs of this population. As an independent and objective research institute, MJB is in a position to work with diverse organizations that often come with distinct and even conflicting views. Thus, our estimates are accepted as authoritative by the government, advocacy groups, and international bodies alike. In the early 1990s, MJB undertook the first assessments of key programs for Holocaust survivors. This research brought to light how little was known at the time about Israel’s survivor population. That initial research led to the first comprehensive national study of Holocaust survivors in Israel in 1998, in partnership with Israel’s Central Bureau of Statistics. This study provided the first empirically based estimates of this population and an assessment of their needs. MJB has subsequently updated the projections at critical junctures over the years. The Institute continued to carry out a range of studies focusing on specific issues. For example, in 2003, MJB carried out a special examination of the present and projected need for home care services, for the major survivors’ organization in Israel. We also conducted studies of financial hardship (2003) and of the use of acute and long-term institutional care (2004). An important milestone came in 2007, when then-Minister of Social Affairs Isaac Herzog established a national inter-ministerial committee on Holocaust survivors in Israel. As the professional resource for the committee, the Institute gained a valuable opportunity to significantly contribute to the national discussion about the responsibilities of the state to this population. Another major role of the Institute is preparation of national reports on Holocaust survivors for international organizations. For example, in 2005, MJB produced a special report for the Israeli government and the World Jewish Restitution Organization to submit to the Holocaust Victim Assets Litigation in US District Court. Then, in 2011, the Institute assisted the Ministry of Senior Citizens in the preparation of Israel’s national report on the needs of survivors, for use in international negotiations on Jewish property without heirs. In 2005, the Institute assisted JDC in estimating the number and needs of Holocaust survivors in the former Soviet Union, as a basis for discussions with the Claims Conference. MJB will continue to be the key resource for the government and non-governmental organizations working to effectively address the needs of Holocaust survivors.